A Music Therapist (MTA) obtains a bachelor or masters degree in Music Therapy, completes 1,000 hours of supervised clinical training (internship), and writes a board-certified exam before they are recognized as a Music Therapist in Canada (MTA). The Music Therapist’s training includes specific Music Therapy techniques, music course work, and biological and behavioural sciences. At the centre of the work is the development of the therapist-client relationship, rapport, and the use of incremental process steps to ensure the client reaches the goals they have come to music therapy for. 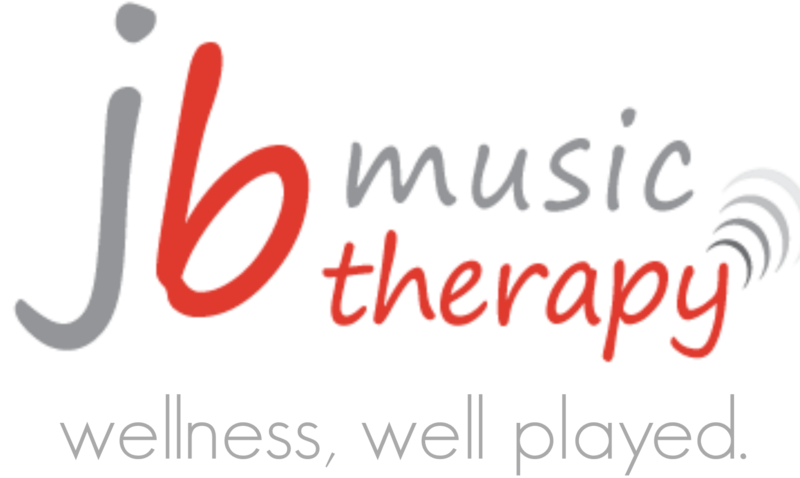 JB Music Therapy is a team of MTA’s who facilitate individual and group sessions in Calgary and surrounding areas. Everyone. There is much clinical evidence and research to indicate that music therapy can improve mobility, memory, learning, and language. Music Therapy is also used to decrease signs and feelings of depression, boost overall mood, reduce the perception of pain, and restore overall health. Professionals, Educators and Executive Directors access the services of music therapists to incorporate the health benefits of using music with intention at home and work. Music Therapy is an allied health profession and is used in health care, education systems, corporations and private residences/agencies. Music Therapy is the study and practice of how music affects people. It does not promote or require musical ability, but instead is a process of making, being affected by, and responding to music to address specific goals. MTAs (Music Therapists) use music intentionally to help clients reach these individualized goals. How miraculous it is to witness the benefits that music therapy can bring. The mysteries of the mind and the power of music combined is an incredible therapeutic tool to reach those who can be reached in virtually no other way. Please contact our office to discuss your facility’s needs and schedule your first session. JB Music Therapy welcomes new clients all year round.